Perhaps you’ve organized many research conferences in the past, or indeed this may be your first. Either way, are you wondering if you need an online abstract submissions system? Well, what if I said you would be crazy not to consider one. An online abstract submissions system can eliminate over 90% of your admin time in the technical program. In fact, 86% of chairs we surveyed say they ‘greatly underestimated’ the effort involved in managing a technical program. Here we outline 5 reasons your conference needs an online abstract management system to improve efficiency! Authors must follow the format or they will not be able to complete their submission. Using an abstract submissions system you can customise the submission form to collect the information needed and ensure that it is in the correct format e.g. list of topics, presentation types, author details. In addition, you can set a word count for the abstract that the system manages. This takes away all the manual checks involved and the need to revert back to the author to resubmit their paper. 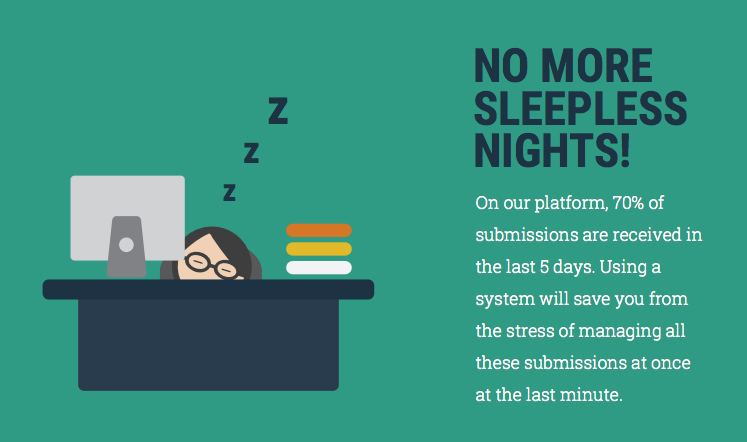 Plus… It’s a centralised system so you don’t need to worry about organising your inbox, so you never lose a submission! 2. Assign reviewers to papers with just one click! An online abstract management system, such as Ex Ordo, will use its smart algorithm to auto match submissions to reviewers. This is a no-brainer as it is the trickiest part of the abstract management process. A manual system would require the chair to sort each submissions into their tracks and then manually match the reviewer to a number of abstracts or papers – tedious work, indeed. An online system allows you to do this with just one simple click!!! Genius, I know! Without an online system, the committee will need to double-check the reviews to ensure the proper marking scheme was adhered to. An online abstract submissions system requires reviewers to complete the review in a standardised format – and a review is only completed when all the required fields are completed. This eliminates the need to check over reviews. When all the reviews on an individual submission are completed, the system automatically combines the individual scores to give an aggregate score. You can filter by score, and accept and reject individually or in batches. You can then quickly send personalized emails to each author notifying them of your decision. Each of these emails can be personalized with the author’s name, acceptance format, submission title etc. As mentioned earlier an online system is a centralised one. This is highly beneficial for remaining organized and on top of your conference. You can also download exports of the data in the conference for offline analysis e.g. the number of submissions submitted/withdrawn/pending, or of reviews started/in progress/completed to mention just two! 6. No more sleepless nights!!! Want to find out more? Schedule a one-to-one live demo!